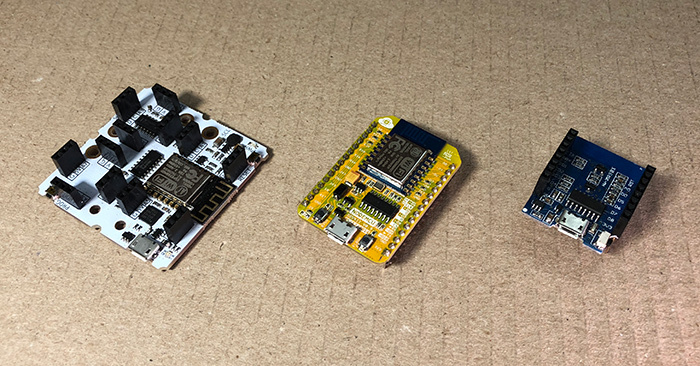 ESP8266-based boards such as NodeMCU and WeMos D1 Mini are quite popular for projects that require internet connection because of their built-in WiFi capabilities. Bind your network SSID and password to SSID and PWD pins and you are good to go. Let’s build a small patch to verify that connection is successful. First, it will print “Connecting” to the debugger, then (after a little delay) your local IP if connection was successful or “Error” if something went wrong. The xod-dev/esp8266-mcu/lan-ip gets the IP address from INET and xod/net/format-ip formats the IP as a human-readable string like “192.168.88.101”. 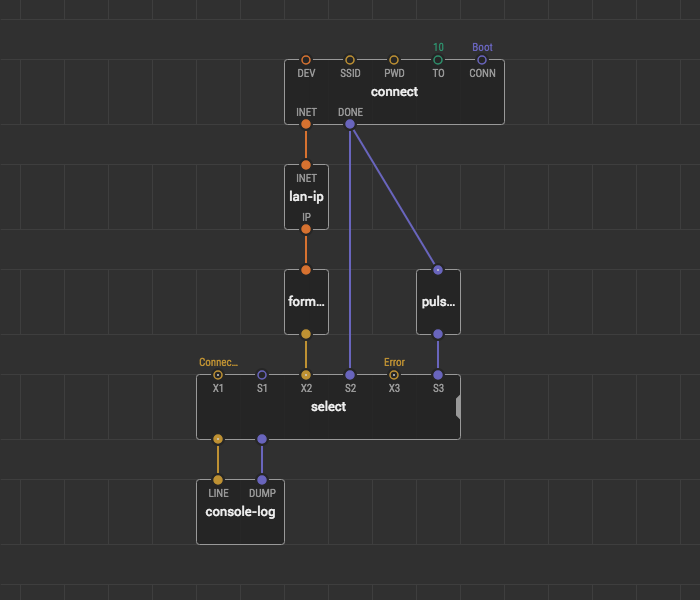 To output the progress to the debugger we use select and console-log. Bind "Connecting" to select's X1, On Boot to S1 and "Error" to X3. Now that you have a working internet connection, it’s time to do something useful with it. For example, fetching some data with HTTP requests.